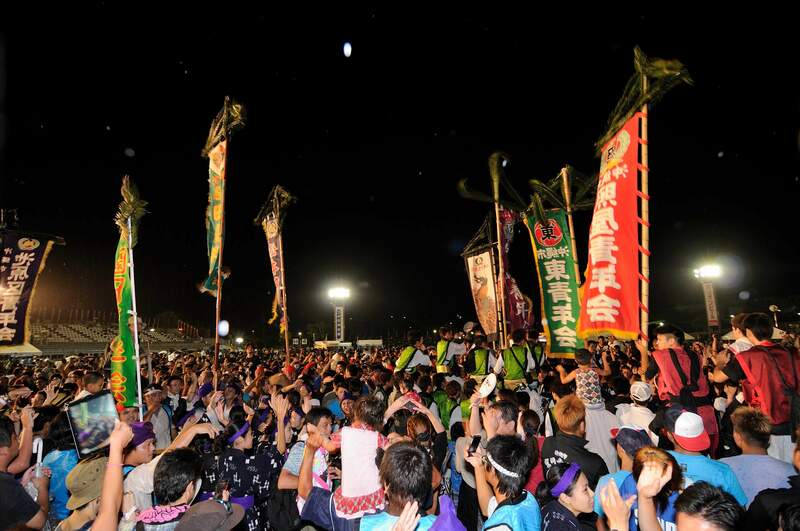 Throughout Okinawa, Okinawa City's popular Eisa event "Okinawa Zento Eisa Matsuri" is the largest such event in the prefecture with a total of 300,000 spectators over a 3-day span. Selected eisa groups from various locations throughout the prefecture will display brilliant performances through unique drum patterns, accompanied by sanshin melody and song. On Sunday you can also enjoy many different original performances, such as children's Eisa and creative Eisa performances. The finale truly paints the Okinawan summer with "Kachashi " folk dance and fireworks.